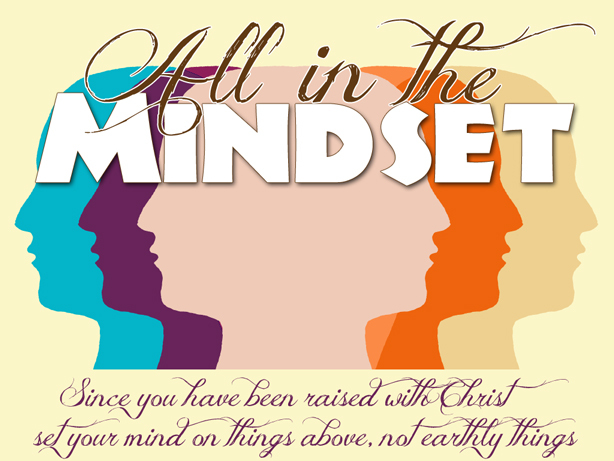 This week we wrapped up our little mini-series called “All In The Mindset.” The goal of this series was to get us started going down the road of thinking on “Above Things” instead of on “Earthly Things.” One of the ways we do that is through what are commonly known as spiritual disciplines. In this week’s message, we talked about the last three of the disciplines that we had time to cover – stewardship, discipleship/evangelism & community. We also talked about how holiness is more about what we pursue than what we avoid, sharing an article from David’s Blog. Why so many Christians fail is that they are trying harder to avoid sin than they are trying to pursue Christ. So, we spent some time talking about the distinction. If you missed it, make sure you listen to it below, or subscribe to the podcast so you can have the messages automatically downloaded to your phone or mp3 player. Holiness is about what we pursue, not what we avoid. These practices are part of the process through which we become holy. Acts 4:24 – “When they heard this, they raised their voices together in prayer to God. “Sovereign Lord,” they said, “You made the heaven and the earth and the sea, and everything in them. You spoke by the Holy Spirit through the mouth of your servant, our father David: “Why do the nations rage and the peoples plot in vain? The kings of the earth take their stand and the rulers gather together against the Lord and against his Anointed one.” indeed Herod and Pontius Pilate met together with the Gentiles and the people of Israel in this city to conspire against your holy servant Jesus, whom you anointed. They did what your power and will had decided beforehand should happen. Now, Lord, consider their threats and enable your servants to speak your word with great boldness. Stretch out your hand to heal and performed miraculous signs and wonders through the name of your holy servant Jesus. After they prayed, the place where they were meeting was shaken. And they were all filled with the Holy Spirit and spoke the word of God boldly. The Lord added to their number daily those who were being saved. Every day they continued to meet in the temple courts.